Updated Thursday January 24, 2019 by Cody Loftin. 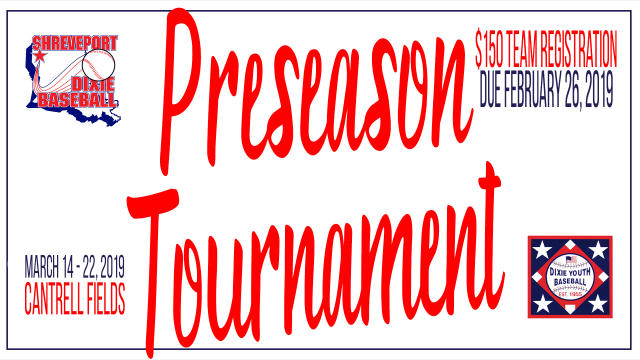 Shreveport Dixie will hold our annual Pre-Season Tournament from March 14-22. The entry fee will be $150 and is due by Feb. 26.